We offer you luxury boutique accommodation complemented by history, charm and stunning panoramic views. 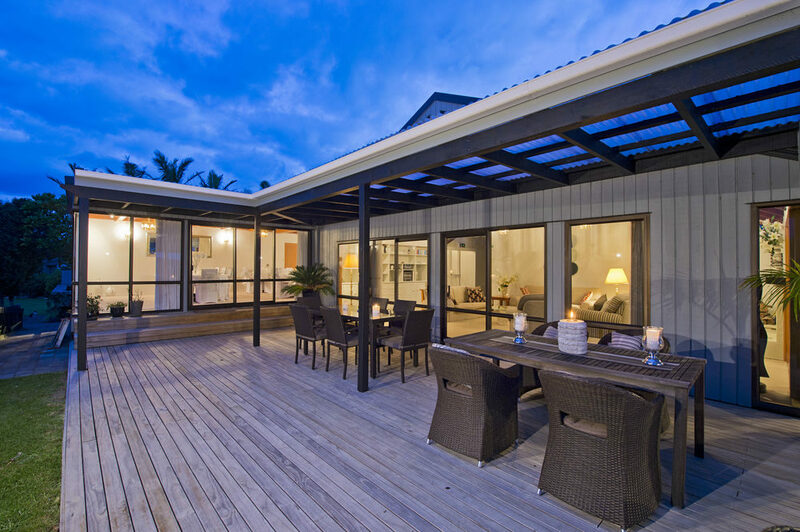 The Clendon is situated at Okiato – the original capital of New Zealand, just a few minutes drive from the historic village of Russell. Our beautiful suites feature en-suite bathrooms, mini-fridge, flat screen TV and complimentary tea and coffee. You can also enjoy a selection of New Zealand wine and beer and other beverages from the bar. 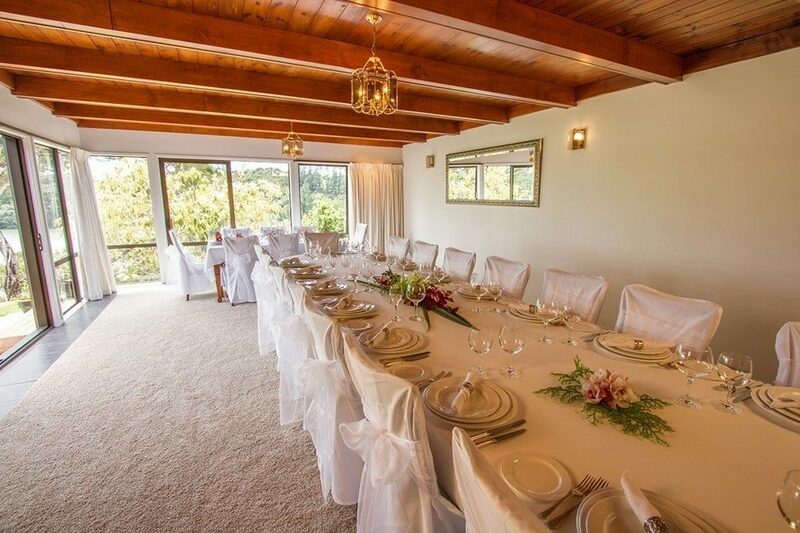 All rooms have air-conditioning, robes, ironing board, iron and hairdryers. You are welcome to join us for breakfast from 7-10am, we have offer both continental and cooked breakfasts, freshly brewed coffee and a selection of teas. 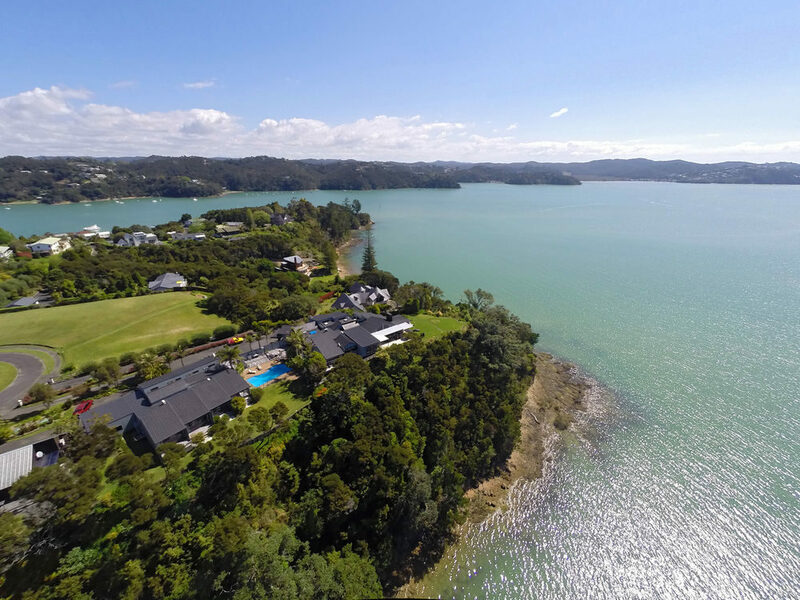 Located on a private waterfront headland, you’ll enjoy views overlooking the bay towards Paihia and Waitangi. 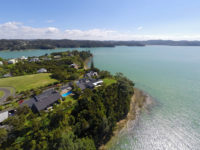 Relax at the Clendon and rediscover the magical tranquillity of the Bay of Islands. Our venue is also ideal for conferences and weddings, please get in touch to discuss your requirements.